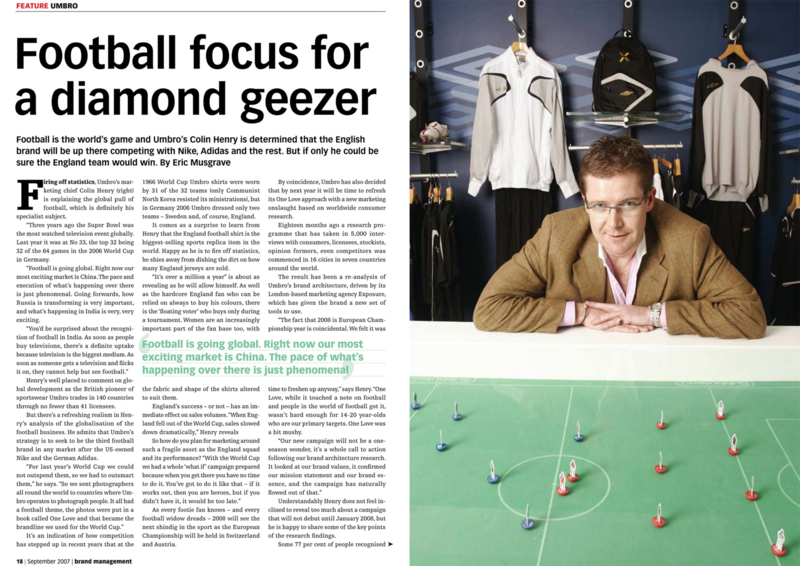 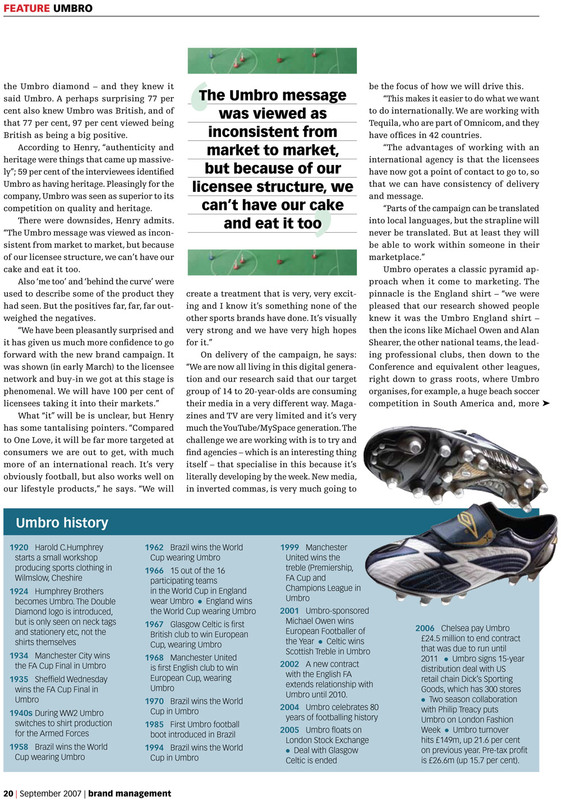 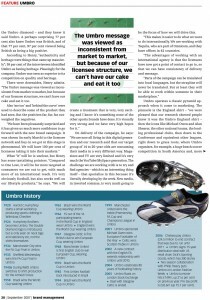 A feature about Umbro, supplier of football kits to England. 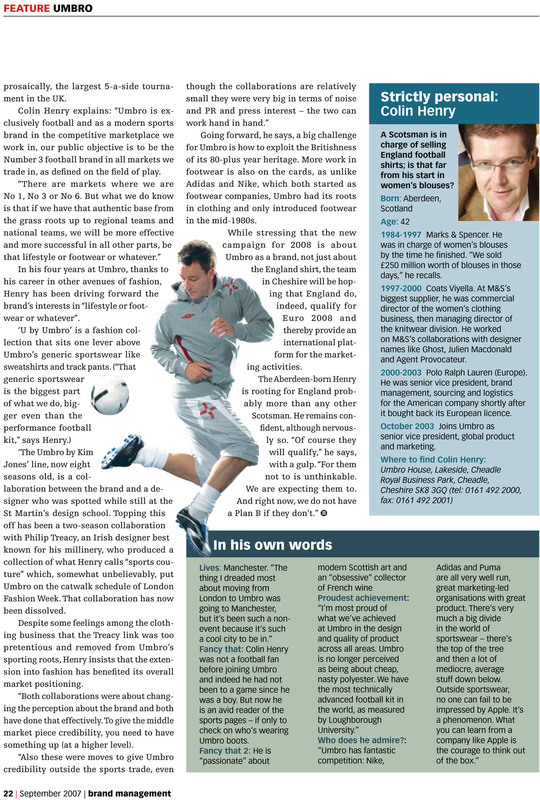 The England team failed to qualify for the 2008 European Championships, which we discuss here. 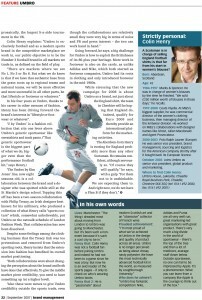 Umbro was subsequently bought, then sold on, by Nike.